Aart is a seasoned, international banking and finance expert. He has a high performance track record in investment banking, mergers and acquisitions, risk-, performance and capital management as well as strategy development. He has successfully provided leadership to banking teams in Europe, USA and Asia. 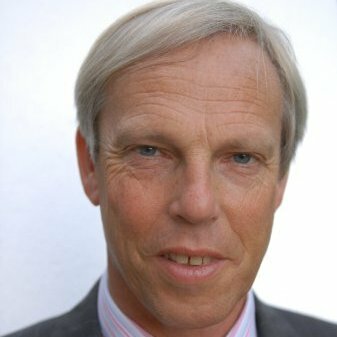 Aart held a number of key senior executive roles at ABN AMRO bank, one of Europe largest banks. He has lived and worked on both sides of the Atlantic Ocean. Lastly as Chief Administrative officer Western Europe for RBS (Royal Bank of Scotland), before that as CFO/COO of the Global Clients division of ABN AMRO bank. Earlier positions included Global Head for technology clients of ABN AMRO bank globally and head of the International Client Group in ABN AMRO BANK New York. During his career Aart brokered many high profile deals, both in local as well as global markets. He has a broad industry perspective and experience. He has been involved with major deals in the media / information based business and has an in depth understanding of information technology assessment and deployment. He is comfortable to work in matrix structures and is able to build bridges between functional and geographical responsibilities to deliver results. His leadership style is aimed at creating a successful and sustainable organization in which people can excel. He creates clear and compelling messages and is pragmatic and results driven. Presently Aart is an independent financial advisor in The Netherlands. He is independent non-executive director at JSC KazPost and Real Estate Fund Samruk Kazyna in Kazakhstan and at Ayursundra Healthcare Group in India. Aart holds an MBA from Groningen University (the Netherlands). He complemented this with a variety of senior executive training through ABN AMRO bank programs. Specialties include Strategy Development, Mergers & Acquisitions, Risk Management, Performance Management, Organizational Structuring, Capital Management, Treasury, Tax, Management Information, International Management and Control.